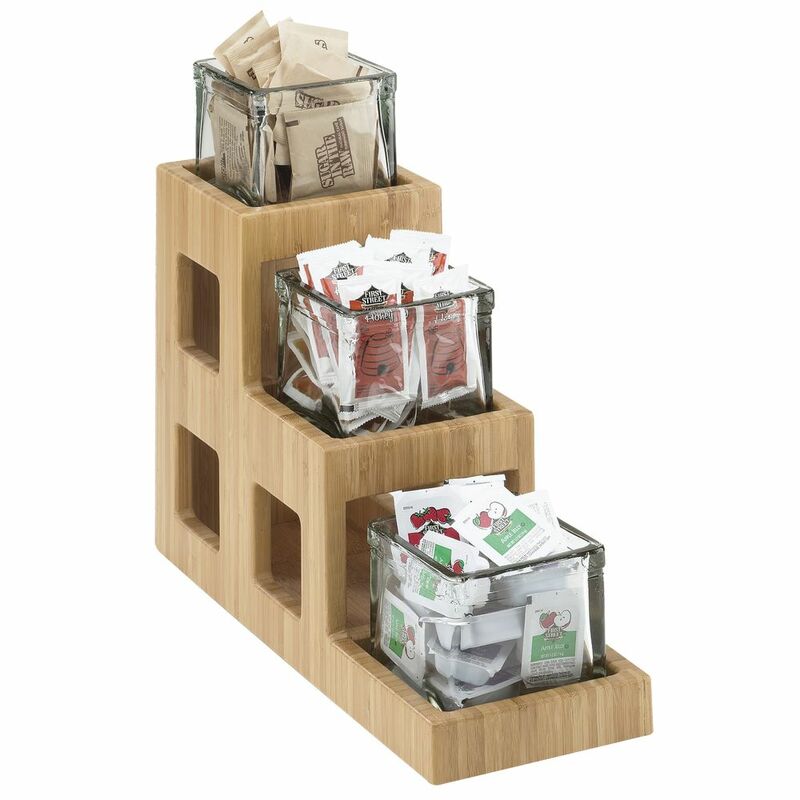 Versatile display features an attractive bamboo frame with natural finish and 3 removable jars for easy cleaning and restocking. The convenient stair step design adds height and dimension to any setting. Great for impulse buys.